In the drive to continuously improve the players gaming experience, and be the best online game site, the NidinK team have been busy and have now launched 4 player crib!!! 4 player crib can be found in the regular crib room along side the classic 2 player crib. 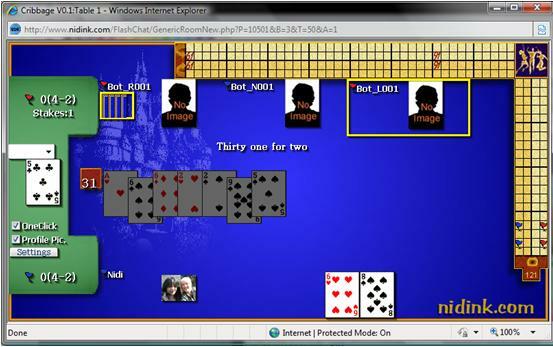 Nidink is a free online gaming site for all to enjoy and have fun! If you have not been to NidinK in a while, why not pop by and see what you are missing!